Buying a used vehicle is one of the smartest choices you can make from an economic standpoint. It makes it possible for you to get all of the same features as a new car, but at a much better price point. Regardless of what kind of car you want to get, there is no denying it is a great choice, but it is also hard to find the exact one you want. Luckily, Coast to Coast Motors is here to help you find your next used car by highlighting the various vehicles we have available in our inventory. 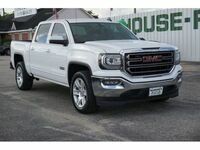 Here, we will be taking a closer look at our available GMC models. For those who want pure American muscle that can get the job done, then look no further than the GMC brand. Between their SUVs and their pickup trucks, GMC offers the utmost in power and utility, which drivers are sure to appreciate. 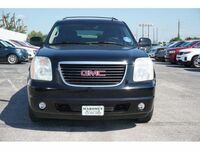 Let's take a closer look at some of our used GMC models and their features.  If you are in the Houston TX area and are interested in any used GMC models, follow this link to our inventory. For those looking for a powerful and spacious SUV, the GMC Yukon has everything you could want. It has an incredibly powerful 5.3L V8 engine, which can generate up to a whopping 320 horsepower and 335 lb-ft of torque, which make it possible for the Yukon to tow up to 5,500 pounds. On top of this, it has an incredible 108.9 cubic feet of maximum storage space. Just because it is all about utility certainly doesn't mean it is lacking in luxury features, as it has features like a 9-speaker audio system and dual-zone temperature control. The GMC Yukon XL shares many of the same great features that the Yukon has. Between the impressive engine, useful towing capacity and a wide range of luxury features, the Yukon XL has many of the same appealing features as the Yukon. However, where it differs from the Yukon is in the huge increase in space. As compared to 108.9 total cubic feet for the Yukon, the GMC Yukon XL has an incredible 137.4 cubic feet of total storage, which can be an incredibly helpful feature to have. The GMC Sierra 1500 is a fantastic pickup truck in a lot of ways. One of the most vital features to have in a pickup truck is power to get the job done, and the Sierra has more than enough of it. With a 4.3L V6 engine that gets up to 295 horsepower and 305 lb-ft of torque, which makes it possible for it to tow up to 6,400 pounds. Between this and its impressive payload, the Sierra 1500 has a lot to offer.